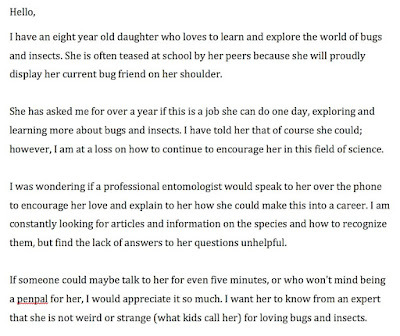 After this week, I think we all need something to cheer us up, so today I'm going to tell you about: an eight-year old girl whose passion for entomology led her to co-author an academic paper in the Annals of the Entomological Society of America. 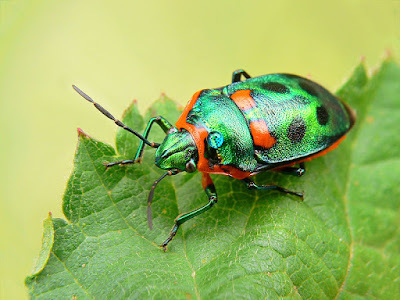 Sophia Spencer, who is from Ontario, worked with Morgan Jackson, who curates the insect collection at the University of Guelph, to write the paper. The topic is a fascinating one; how to use social media to make science more accessible and understandable to the public. 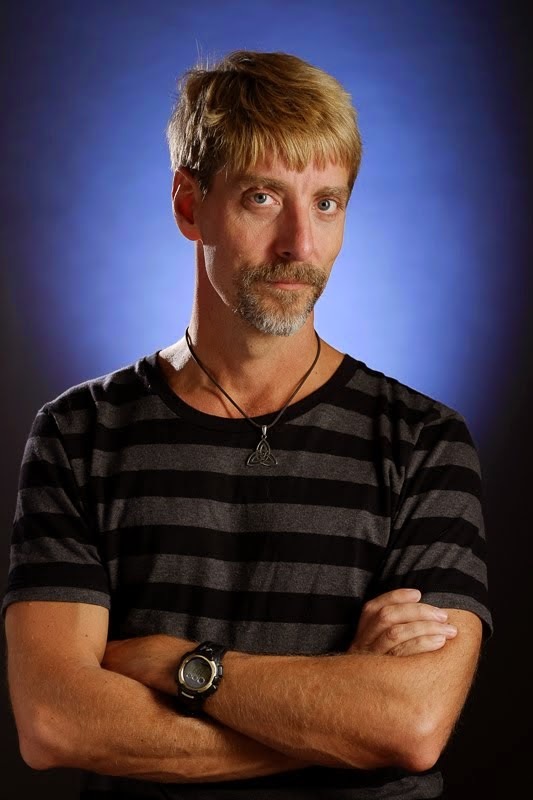 The entirely appropriate outcome: the hashtag #BugsR4Girls trended on Twitter. The result? The Entomological Society of Canada got wind of this, and put out a tweet that said, "A young girl who loves insects is being bullied & needs our support. DM your email & we'll connect you! #BugsR4Girls." It felt good to have so many people support me, and it was cool to see other girls and grown-ups studying bugs. It made me feel like I could do it too, and I definitely, definitely, definitely want to study bugs when I grow up, probably grasshoppers… If somebody said bugs weren’t for girls, I would be really mad at them… I think anything can be for anybody, including bugs. The happiest conclusion of all this is that Sophia's bullying problems at school have all but evaporated. When her peers saw the response she got -- not to mention the amazing honor of being a co-author of an academic paper at age eight, which has to be a record -- all of a sudden, Sophia said, she's become "cool." The kids who teased her for loving bugs now line up to take a look in her microscope and ask her to identify weird and interesting insect life they come across. All of which supports a contention I have had for years; one of the best ways to find happiness is to discover a true passion, something that you love to do or to learn with no particular thought of utility. I know my two obsessions -- music and running -- have pulled me up many times after bad days at work, or just general glumness. 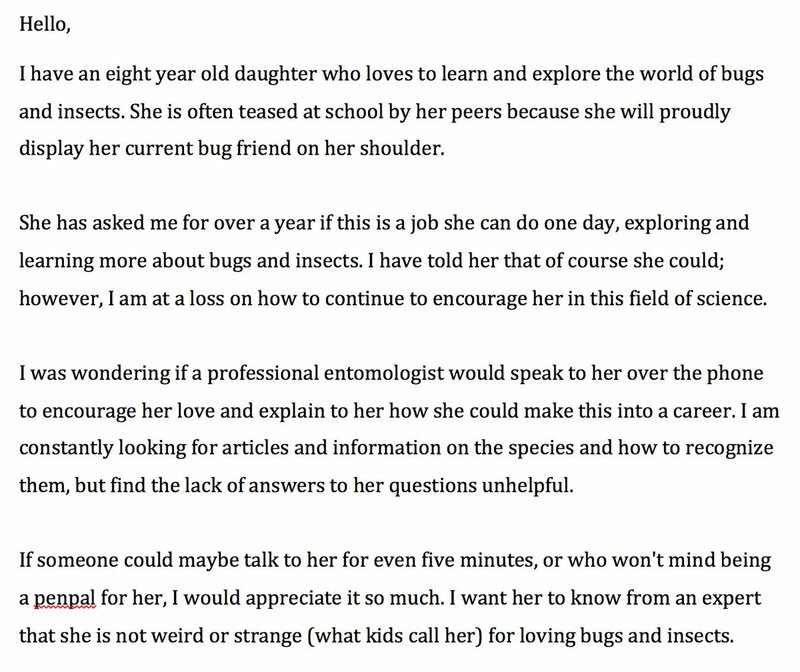 Kudos to Sophia for persisting in the pursuit of hers -- and to Morgan Jackson, and the other scientists who responded, for making sure that a girl who loves bugs has an opportunity to fly. Damn, it's good reading some good news for a change. Really glad for her.